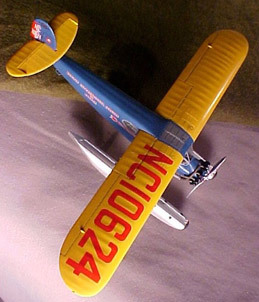 with his own ink jet decals. 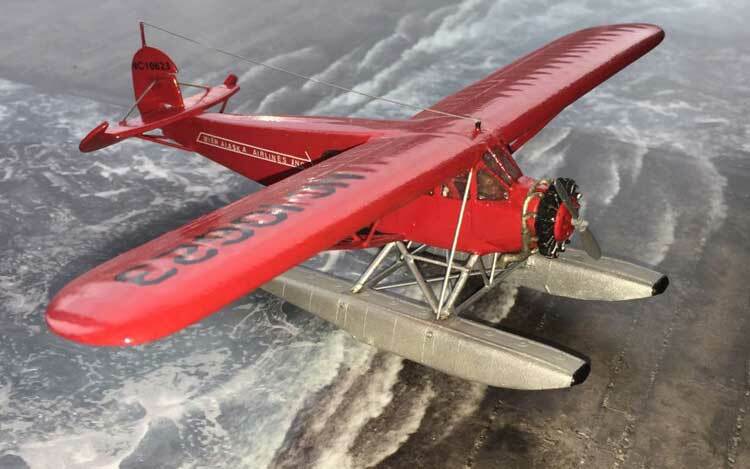 JUSTIN WALBRUGH in England built one of the Khee-Kha Pacemakers, and added homemade markings and his own Edo K-4650's to represent "Shakey Jake" as operated by Marine Airways out of Juneau, Alaska in 1939. 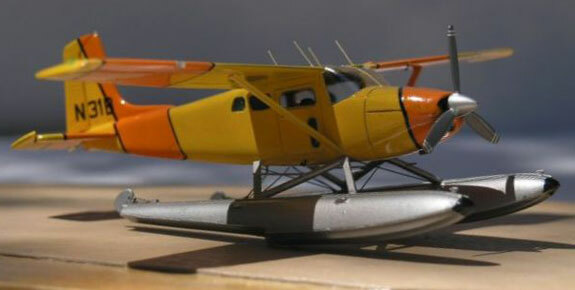 Click here to read Justin's review of this kit on internetmodeler.com. 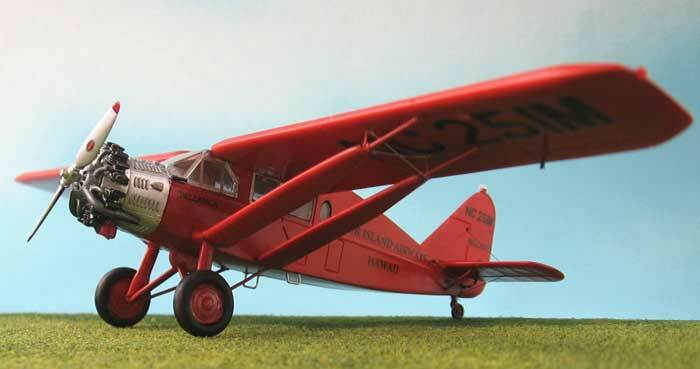 Claudio finished another Khee-Kha Bellanca - with his usual flair for the unusual - which can be seen on his blog. 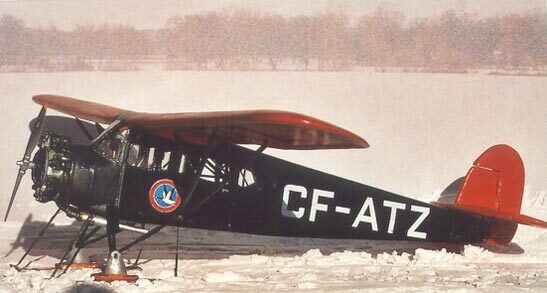 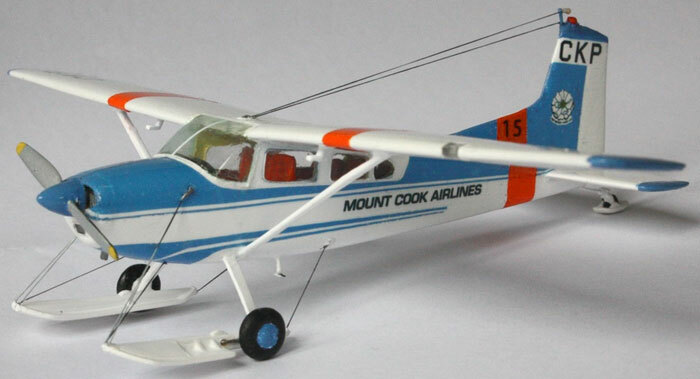 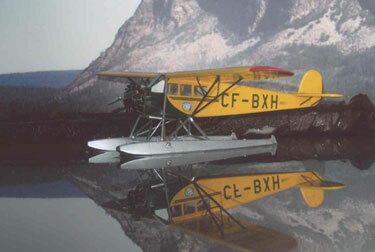 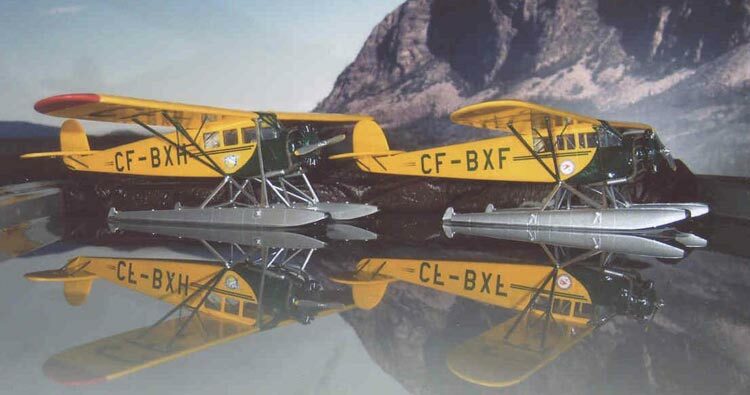 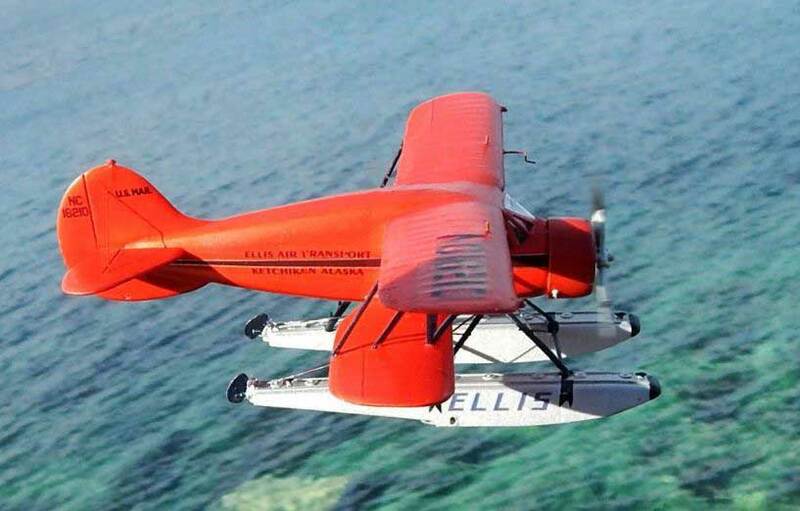 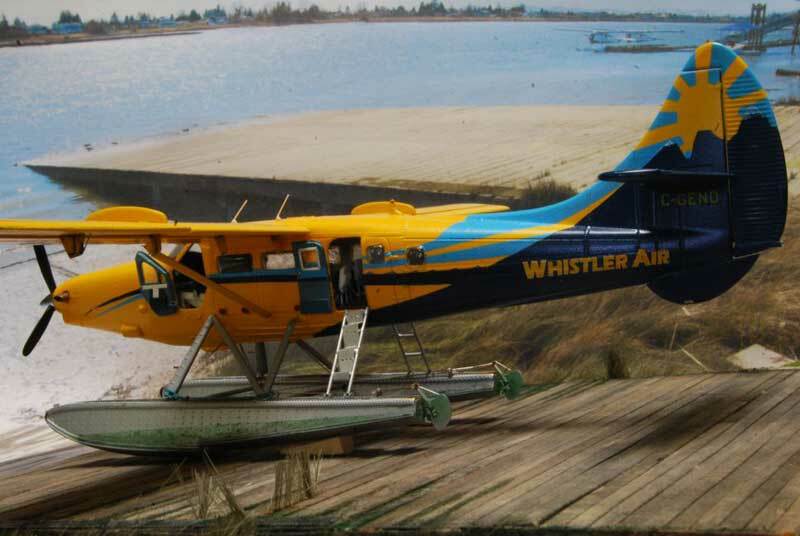 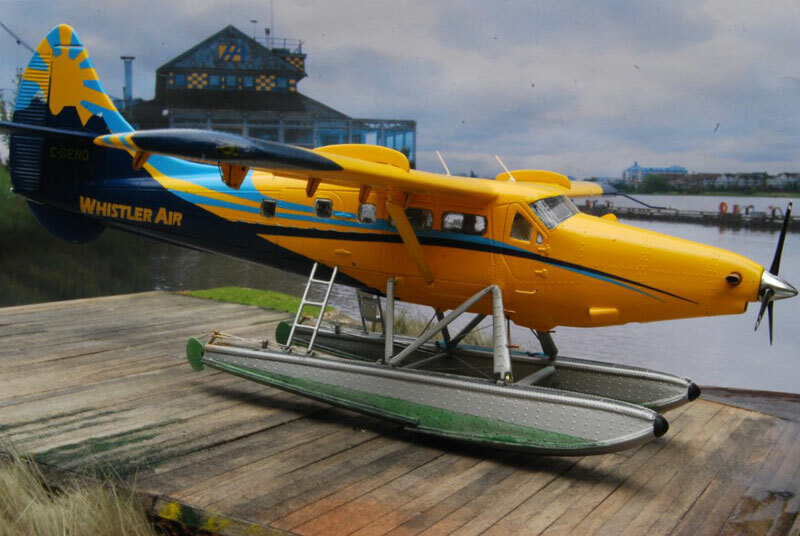 Tim Nelson printed his own Spilsbury & Hepburn Radio decals and converted the Khee-Kha Waco YKS-6 into this Canadian YKC-S on EDO 38-3430 floats; the first aircraft of the soon-to-be Queen Charlotte Airways, "The Accidental Airline". 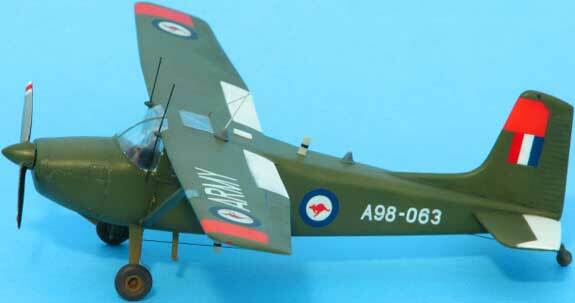 WILL ALCOTT enlisted his Cessna in the RAAF. 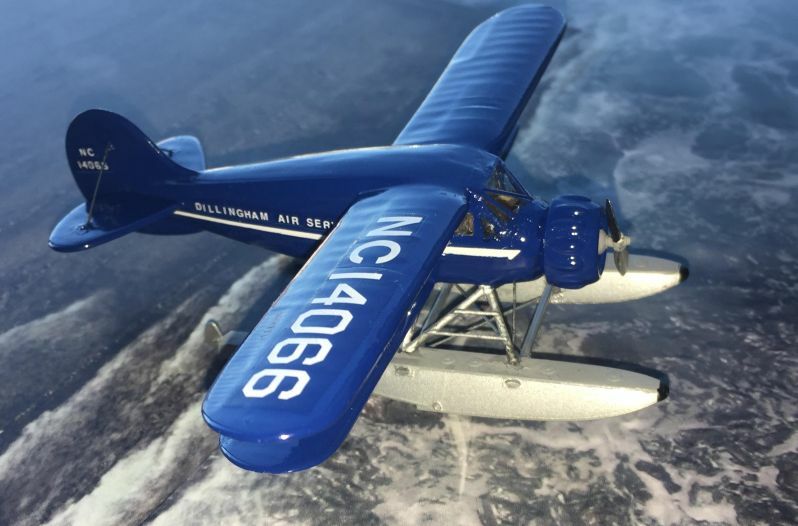 Thanks again, Will! 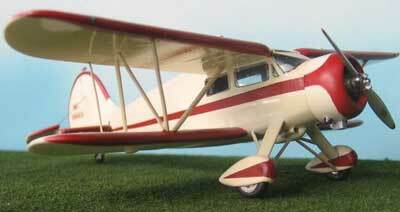 Click here to read Alex's review of this kit on ARC. 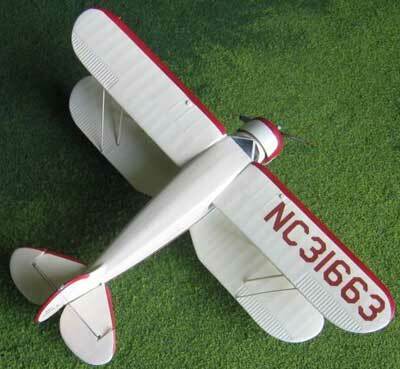 Harry Follas finished his 185 with home-made ink jet decals and a super mask-and-airbrush job. 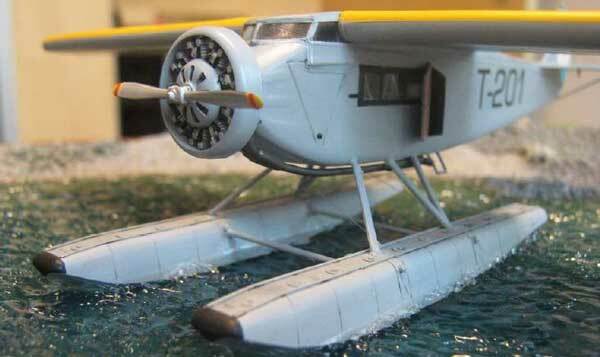 Using the Khee-Kha 1:72 plan set, some sheet styrene and techniques posted on Claudio Luchina's Wings of Intent scratch-building blog, Charles Christenson completed a model of Russ Merrill's ultra-rare TravelAir 7000 cabin biplane. 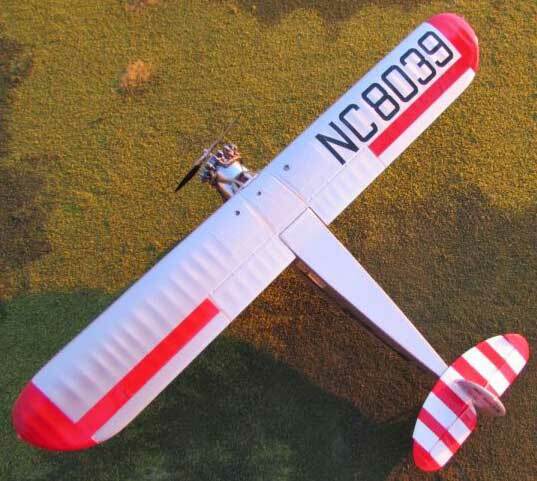 This was both Charlie's first full scratch-build and the first time I've seen the plan set used. 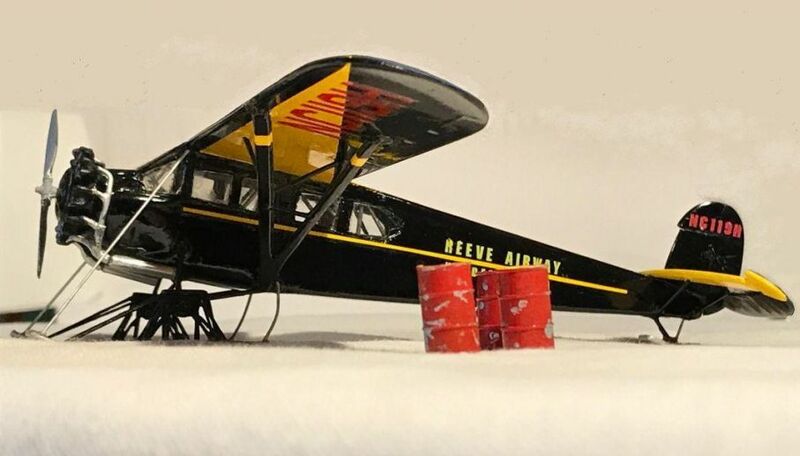 Congratulations, Charlie! 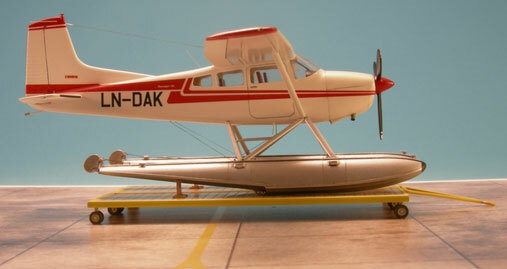 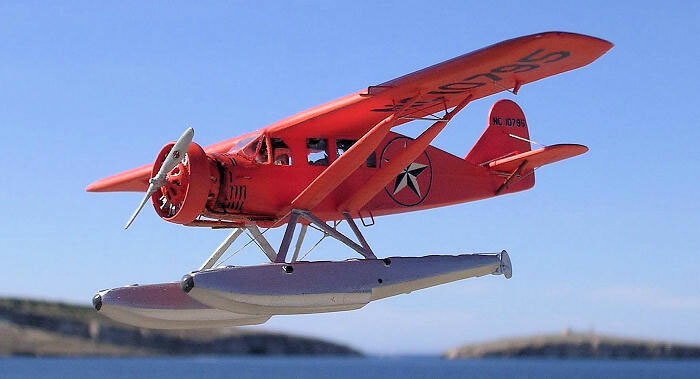 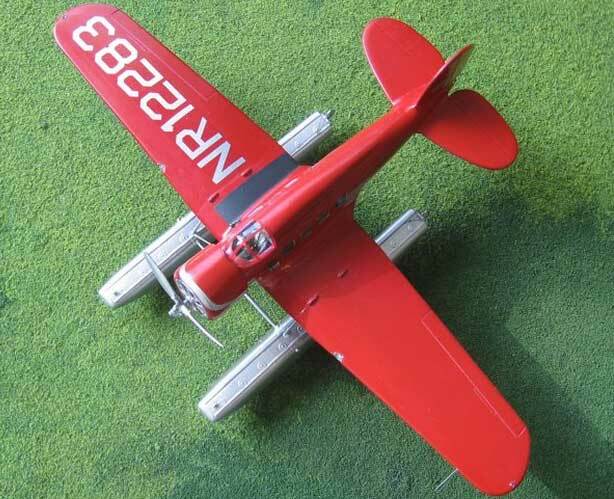 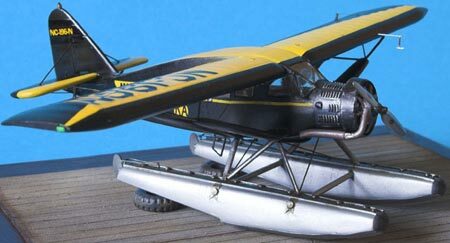 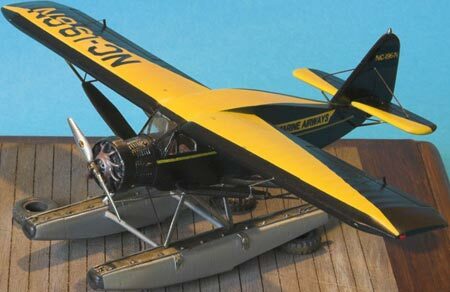 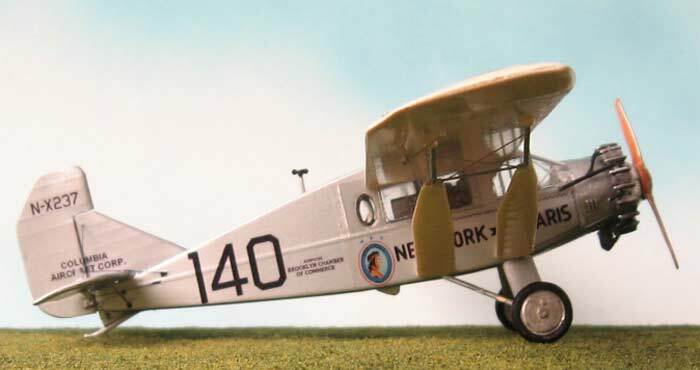 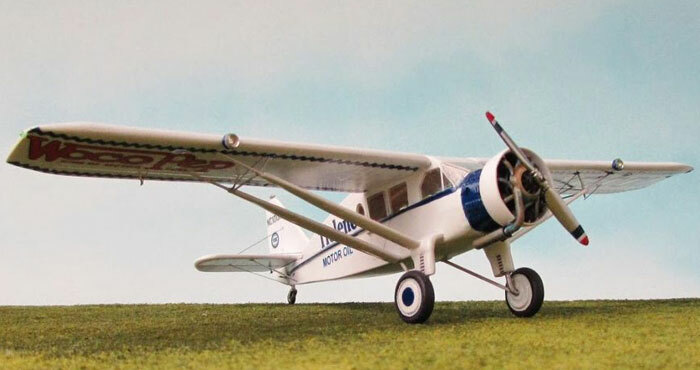 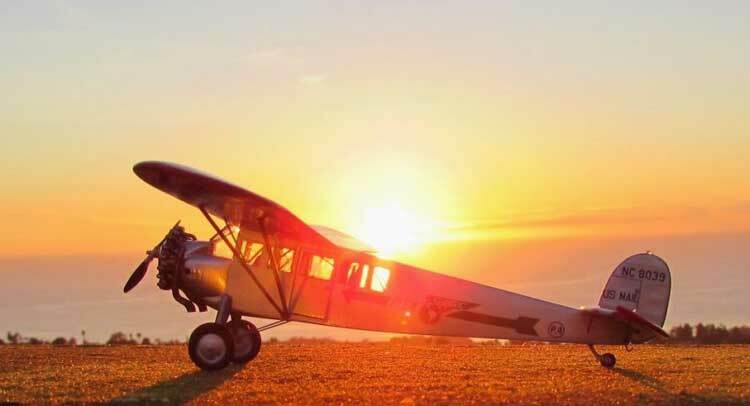 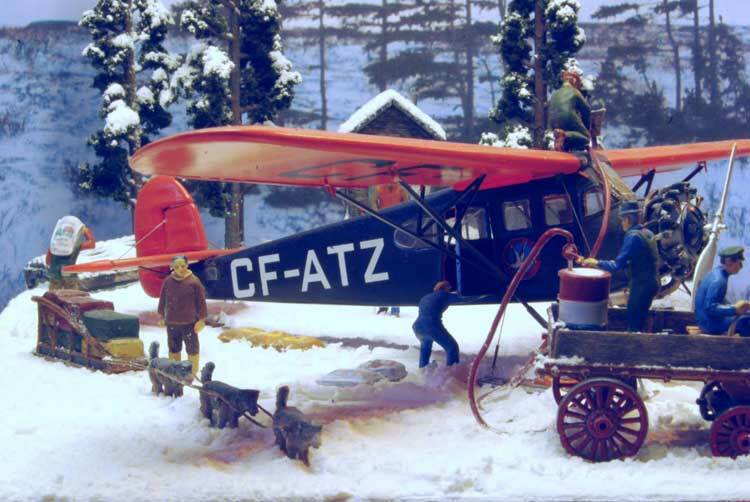 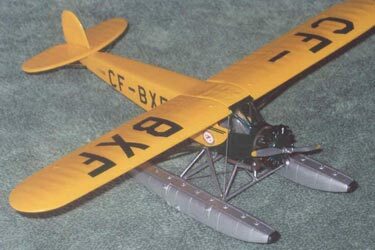 MAX LACOBARA equipped his scratch-built Fokker Super Universal with Edo J-5300 floats from Khee-Kha Art. 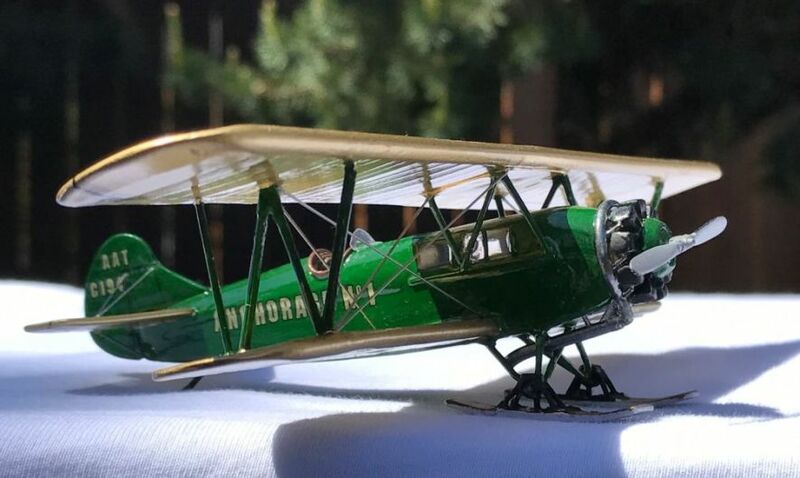 "In addition to the nose conversion I changed the windows and wingtips, scribed and riveted the fuselage and wings, stretched the floats and made custom decals. 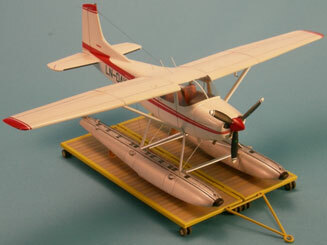 The truck was built from a PJ Productions Chevy truck. 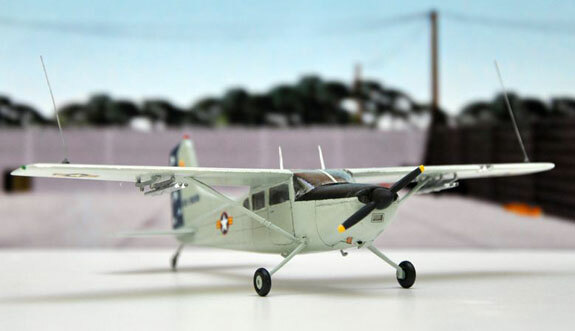 I really enjoyed building the model and using your perfect conversion parts!"